Health • "No other options are left'' for the 11-year-old, she says. 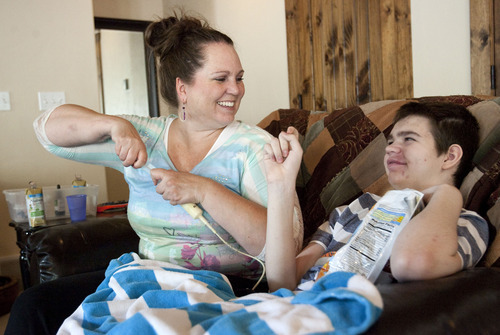 Pleasant Grove • Jennifer May has tried 25 treatments in 10 years, a mix of prescribed diets and drugs, to quiet the lightning in her son&apos;s brain. Only two eased Stockton May&apos;s seizures. But their toxic side effects ravaged his bones and immune system, and the relief was temporary. 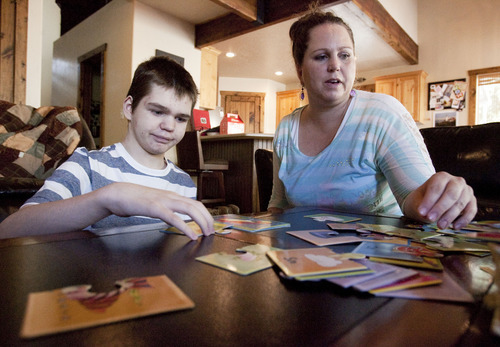 His rare and intractable form of epilepsy, Dravet syndrome, "always found a way around the treatment," said his mom, a self-described conservative and devout Mormon who is now pursuing what for her was once unthinkable: medical marijuana. Use of marijuana is outlawed in Utah. But mounting evidence of its medicinal benefits  from controlling cancer pain and nausea to reducing seizures  has pushed 18 states to legalize it for medical use. Moved by preliminary studies and patient testimonials, May is now fighting for legislation to make it available to Utahns, including children with epilepsy. "It&apos;s not just anecdotal. It&apos;s huge," she said. "We&apos;re talking about a group of kids for whom no other options are left." She has the backing of the Epilepsy Association of Utah and a Facebook group of 25 to 30 like-minded moms. "This is not smoking the drug, or getting high off it," she said, stressing she seeks only to legalize medical-grade products derived from the cannabis plant, and only for certain patients where science warrants it. Utah&apos;s Republican legislative leaders have opposed any attempts to decriminalize marijuana, including pro-tem Senate President Curtis Bramble, R-Provo. "If someone comes forward with credible research, I&apos;ll listen; I&apos;ll listen intently," he said Tuesday. "I&apos;m not persuaded at this point." But former Utah Attorney General Mark Shurtleff, a cancer survivor, has said he&apos;d testify in favor of the drug&apos;s medical use. Under current Utah law, possession of less than an ounce of marijuana can lead to a sentence of six months in jail and a $1,000 fine. The sale of any amount can result in a five-year sentence and a $5,000 fine. "It may be a long shot in Utah," concedes Connor Boyack, president of a new Utah-based libertarian policy group, the Libertas Institute. "But if anything is going to crack the prohibitionist nut in Utah, it&apos;s going to be children who are suffering. We think it&apos;s a powerful argument to make and a principled one." May believes it&apos;s possible to build a well-regulated program for producing chemical extracts and oils that are tested for safety and potency. Such therapies are being produced now by groups that include the Colorado nonprofit Realm of Caring. But there&apos;s a waiting list for the drug and traveling with it across state lines is illegal, not to mention impractical for kids as sick as Stockton. A drug company, GW Pharmaceuticals, is running investigational trials on a drug that, like Realm of Caring&apos;s product, is made from a strain that is high in cannabidiol (CBD) but does not appear to have the psychoactive effects of tetrahydrocannabinol (THC), another chemical component of marijuana. May has submitted Stockton for possible participation in trials, though it would likely entail relocating to another state. Stockton could be among those who get the placebo, and it could take a decade or more for the drug to win federal approval. She initially thought CBD was just another false lead. "We&apos;ve had so many people approach us about all kinds of crazy treatments, from positioning Stockton&apos;s crib a certain way to having him wear a magnet in his pocket, supplements and cold laser therapy," she said. But earlier this month, she saw a CNN report about CBD stopping Dravet syndrome seizures in a Colorado girl named Charlotte. The strain she uses, developed by Realm of Caring, is named Charlotte&apos;s Web. "I called Charlotte&apos;s mom and was convinced," said May. "She was able to walk, able to eat, and went from 300 seizures a week to one." Charlotte gets a dose of CBD, or cannabis oil, twice a day with her food, according to CNN. The drug is thought to alter the way electrical impulses work in parts of the brain tied to seizures, but precisely how isn&apos;t known, said Mitch Earleywine, a psychology professor and director of clinical training at the University at Albany, State University of New York. Evidence of cannabis&apos;s potential for limiting seizures dates back to the 1840s, including studies in labs, animals and humans, he said. Earleywine supports legalizing medical marijuana, noting current drugs for epilepsy are "either super sedating or sometimes don&apos;t work." But nationally, doctors differ on the drug&apos;s safety and effectiveness. The American Academy of Pediatrics does not support medical marijuana prescriptions for children. Similar conclusions have been drawn by the Institute of Medicine and the American Medical Association, which have called for additional research into the value of smoke-free cannabinoids. Utah hospitals  Intermountain Medical Center, Primary Children&apos;s Medical Centerand University of Utah Hospital  declined to make doctors available to comment on medical marijuana. But May said neurologists will tell parents "you might want to give it a try." For parents, the challenge is weighing the risks and benefits, Earleywine said, acknowledging data about its use by humans with epilepsy is mixed.A 1980 experiment with people with epilepsy showed that cannabidiol could decrease seizures, for example, but a couple of published case studies showed that those who quit using cannabis ended up having more seizures. "The data just aren&apos;t there as far as what they&apos;re used to seeing with a randomized clinical trial, in part because the opportunity to [run] those kinds of studies are hampered by legal issues," he said. "We don&apos;t know what ratio of CBD to THC works for our kids," May concedes. "But for so many of us, the unknowns are better than what we already know." 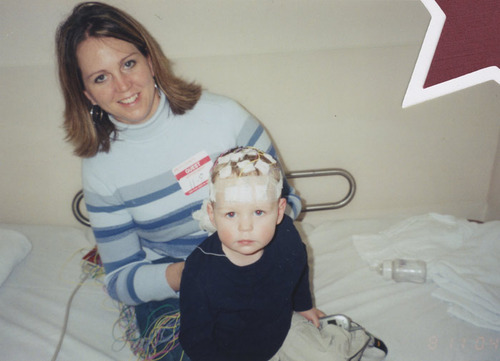 Stockton, now 11, had his first seizure when he was about 6 months old. It took more than two years to diagnose him and some of the initial drugs he was prescribed aggravated his condition, May said Tuesday in her home high in the foothills of Pleasant Grove. Stockton, just home from school, sits on the floor watching cartoons and playing with puzzles. He is seizure free at this moment, but the electrical storms blow in more frequently, without warning, at night. May sleeps with him to prevent him from accidentally hurting or smothering himself. May, 40, has seen Stockton deteriorate from a normal toddler to a preteen who has trouble walking, can&apos;t use the toilet and, aside from the occasional chip, has to be fed from a tube. 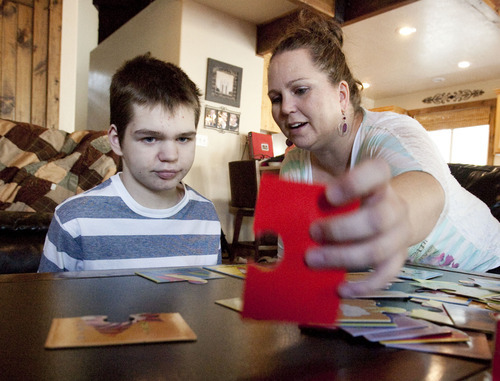 He is developmentally delayed, functioning at the level of a 3-year-old. Friends and family have been supportive of her decision to try marijuana, which emboldened her to go public. She knows of families who have made the trek to Colorado or found ways to obtain marijuana illegally. But she&apos;s reluctant to break the law or disrupt the lives of her two other children, a high school senior and freshman in college. Stories of children who use CBD and change from not walking and talking to running on a beach make her hopeful that Stockton&apos;s brain can recover some of what&apos;s been lost. Under Utah law, possession of one ounce of marijuana can land you in jail for up to a year. Anyone caught with 16 ounces or more risks a felony charge and up to five years in prison. Possession of more than 100 pounds carries a prison sentence of up to 15 years. A congressional committee is scheduled to hold a September hearing to clear up foggy federal and state marijuana laws. Eighteen states permit medical use of marijuana, including New Jersey, which allows it for children only under a strict set of rules. Republican Gov. Chris Christie was moved to sign the law by stories of children with epilepsy. Colorado and Washington allow recreational use of the drug. The syndrome is rare. 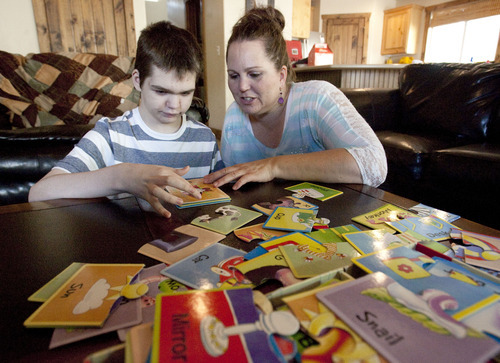 It&apos;s not known how many children in Utah have it; Pleasant Grove mother Jennifer May knows of about 20 through the Epilepsy Association of Utah. The disease is characterized by the number and severity of seizures, sometimes hundreds a day, lasting 45 minutes or more. "The more they seize," said May, "the more their brain wants to seize." It&apos;s hard to treat and causes developmental delays, possibly from the treatments or the seizures. There is no cure and has a mortality rate of 20 percent. Children&apos;s brains can swell from all the seizing, or they can die from accidents and injuries or in their sleep from Sudden Unexplained Death in Epilepsy.